At AMS, we believe that every student should have safe spaces to explore and nurture their individual sense of curiosity. Combining this with the hands-on experience of our teachers and staff is a process that encourages and supports learning at the fundamental level. Our learning spaces facilitate the engagement of each student?s independent understanding; allowing them to have a personal area to develop their own skills in relation to these activities. This philosophy is the inspiration behind the development of the Children’s Village, also known as the Pioneer Village. 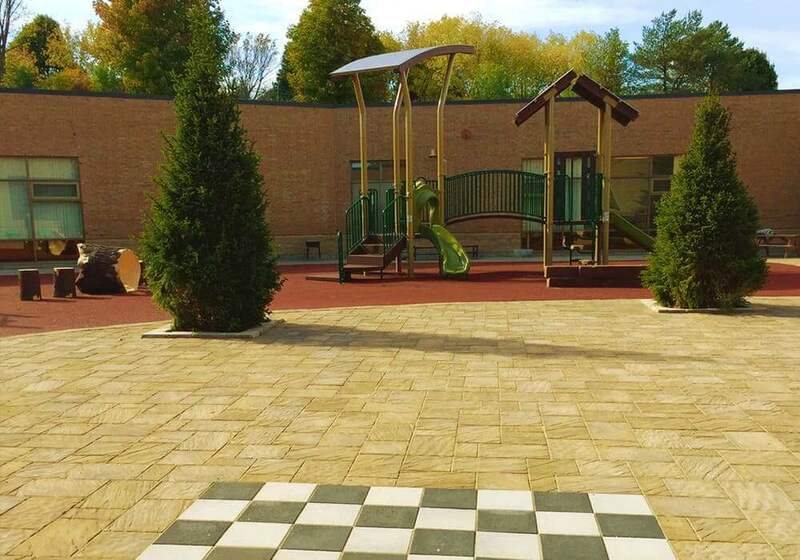 The Children’s Village expands over a range of eight acres on the north side of Aurora Montessori School. The focus of this area is to provide a space for each child to discover and explore the universe through hands-on lessons pertaining to botany, zoology, and ecology. 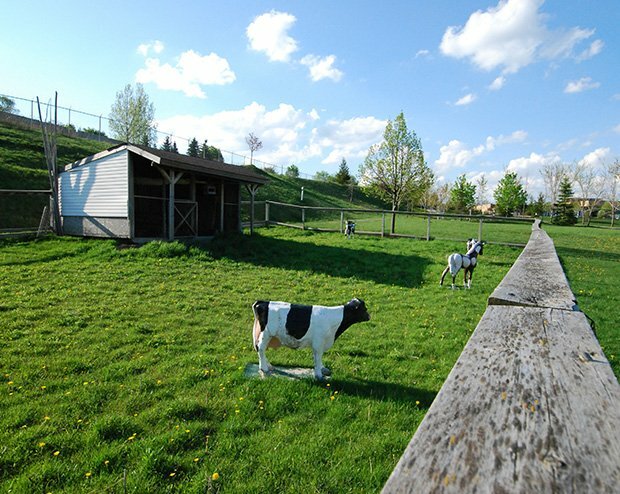 The Children?s Village includes a small animal shelter, wetland area for birds, and a butterfly garden designed especially for children, so that they may have an engaging experience when studying the sciences and various aspects of biology. We have also designed a specific area within the Village for an enhanced and engaging set of lesson plans for students to study Canada?s heritage, specifically with a focus on Pioneer and Native People. Using the outdoors to relay concepts about this culture allows children to have a stronger understanding of the history of this area. 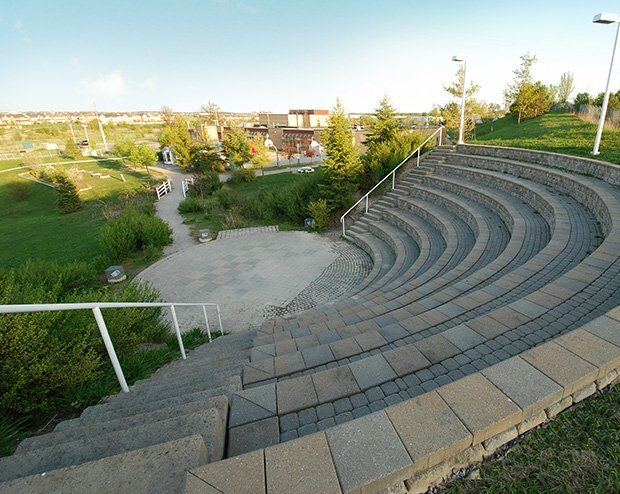 The outdoor amphitheatre in the Children?s Village provides a space for students to find a sense of inspiration and creativity through dramatic and artistic productions. This area also has a life-sized chessboard with chess pieces built into the design of the floor making the game more fun to learn, and also allows students to develop an understanding of strategy and critical thinking. 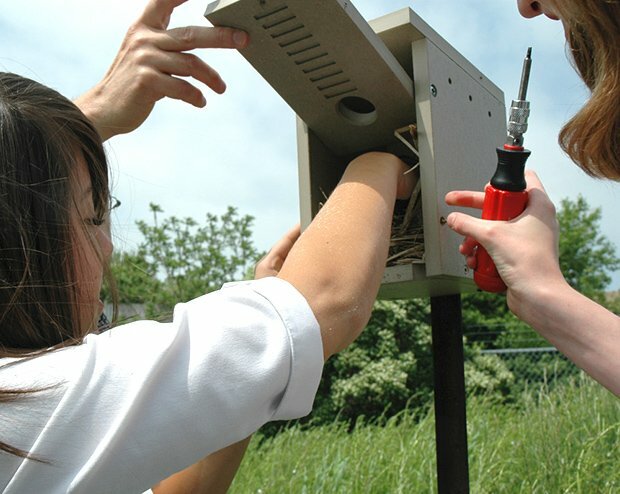 At AMS, we believe that every student should have the opportunity to explore the outdoors. 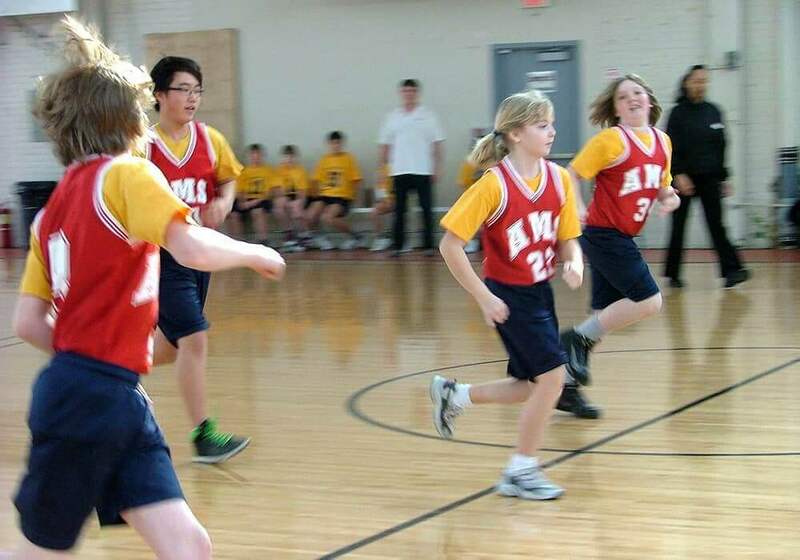 The playground equipment and various areas have provided our students with a place to run, play, and exercise. Moreover, we have designed a unique and innovative area for younger students to enjoy. The space provided to students has been developed with safety and security as the main focus. The circular design that has been built is architecturally innovative and is considered to provide a natural sense of security. The security of our students is of utmost importance. Since the beginning of our school?s development, safety has been our main concern with respect to the design of our facilities. At AMS, we have safety procedures in place for emergency situations; including fire and lockdown drills. These are carried out on a consistent basis to familiarize students and staff with standard procedures used to remain safety in any situation. 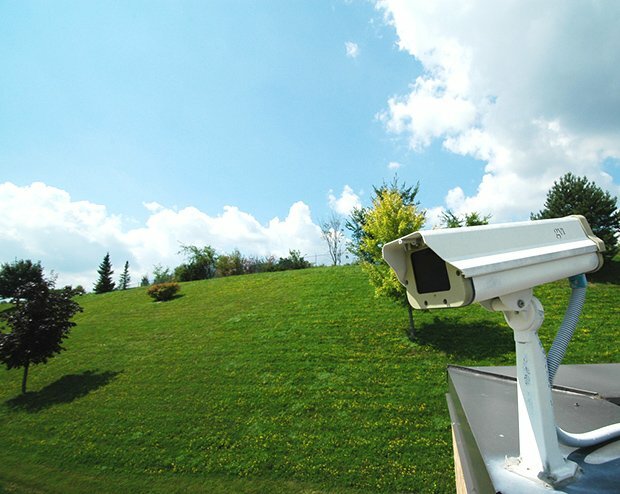 Further, all property and facilities at AMS have live and taped video surveillance, which are in place in order to ensure that all students and staff remain safe and secure. In addition, all doors to the school remain locked, parents and visitors must be granted access into the school, and guests will be monitored during their visit at AMS. Upon entering the school, all adult visitors are required to check in with the office and wear a visitor?s badge while they are in the building. The entire AMS facility is monitored by our staff at all times. 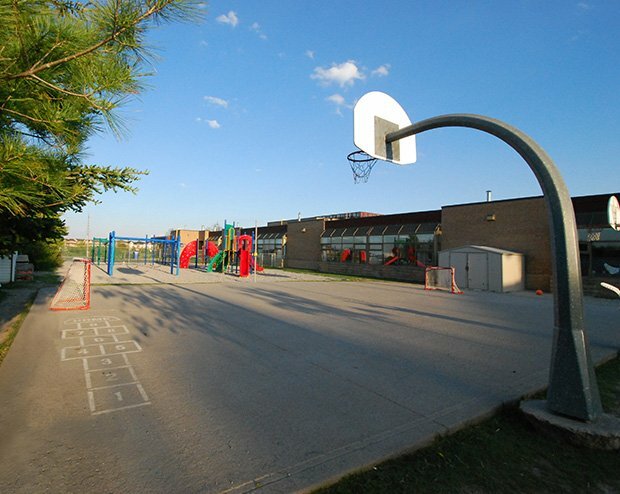 Students who wish to explore the outdoors will be able to do so during scheduled outdoor time. 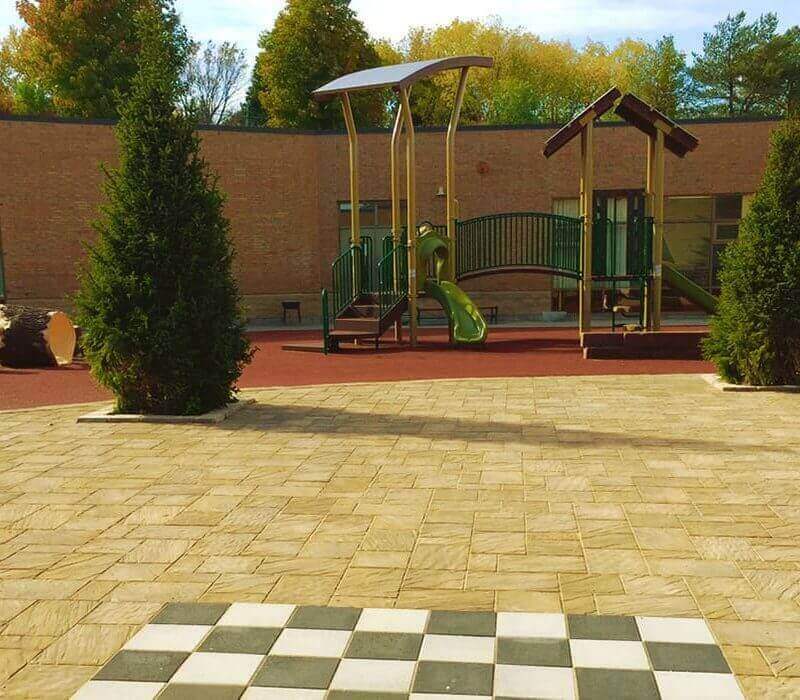 For younger students and toddlers, an enclosed courtyard is available for safety and security while playing outside. Our Casa classrooms all feature natural lighting, custom sized furniture, and low shelves for easy access. Upper windows may also be opened for natural air circulation and all of our facilities are fully air conditioned. Furniture within the classroom is designed with comfort and practicality in mind, and specifically engineered for children in the Casa age group. 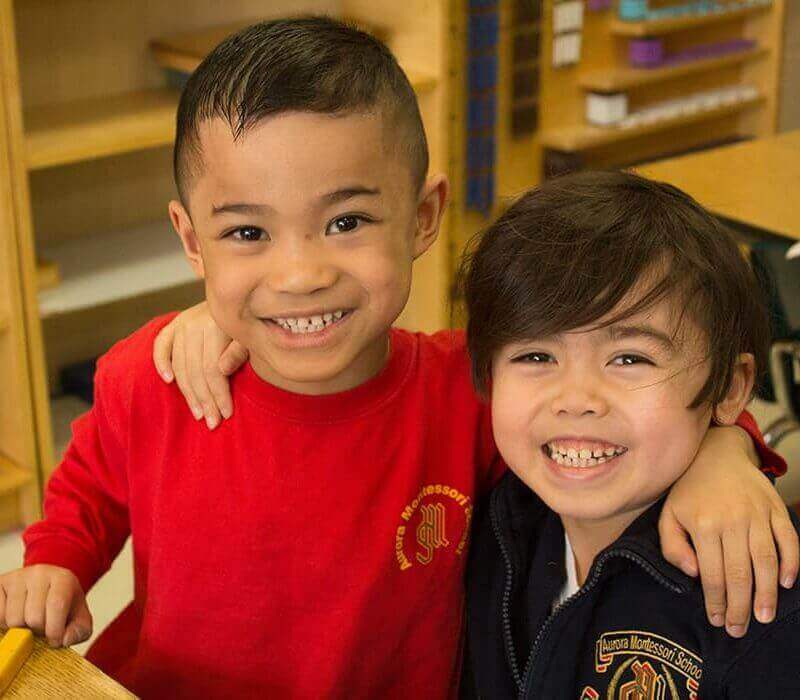 Each Casa classroom is equipped with a complete set of Montessori learning materials all of which are routinely cleaned with safe cleaning detergents. Storage cubbies and seating areas are also provided and are located directly outside the child?s classroom and provide plenty of room for your children to store their belongings. A large one-way window allows a parent to view the classroom activities in private and out of view of your child. It is a unique experience to watch your child in their first steps of independence. A washroom is built into each room to minimize accidents and reinforce children to follow responsible hygienic habits. The ability to communicate in French is a valuable skill, especially in Canada. 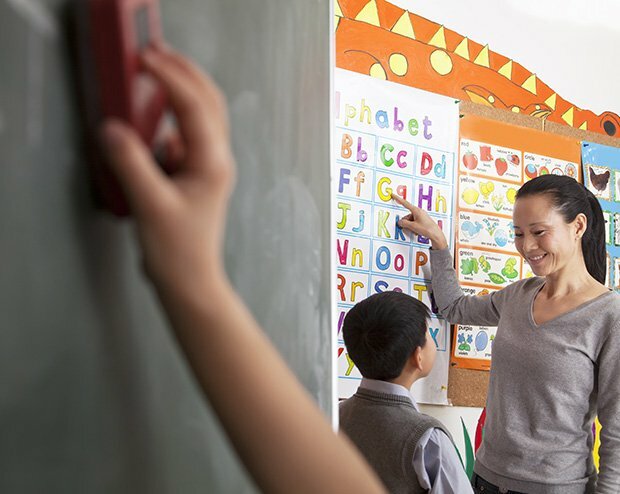 Research confirms that knowledge of a second language strengthens first-language skills, and that the ability to speak two or more languages generally: enhances problem solving and reasoning skills; the capacity to think creatively; and promotes a respect for, and understanding of, other cultures. 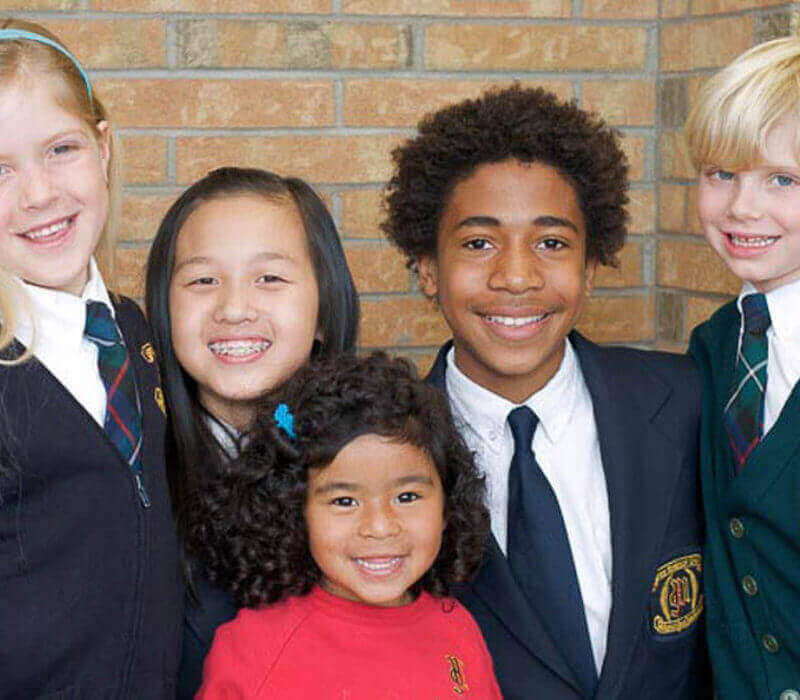 Knowing a second language also creates a wider range of job opportunities in your child?s future. 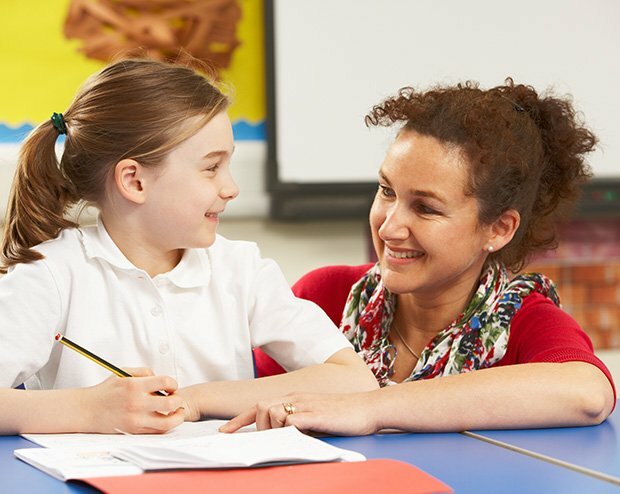 The French Curriculum emphasizes the development of oral communication skills with gradual introduction to reading and writing. 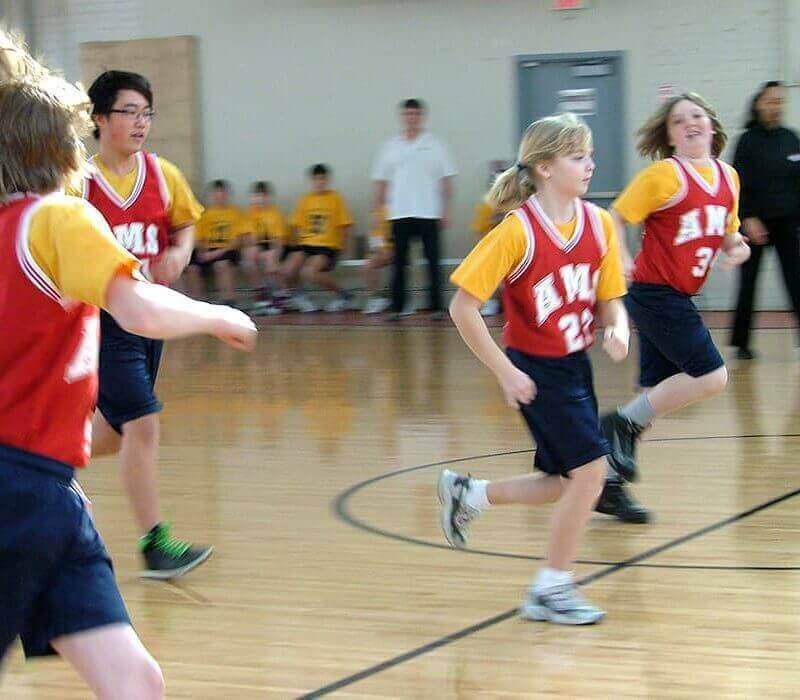 The Accelerative Integrated Method (AIM), is a highly motivational, active, and enjoyable program that immediately engages the student and immerses him/her in the French language. 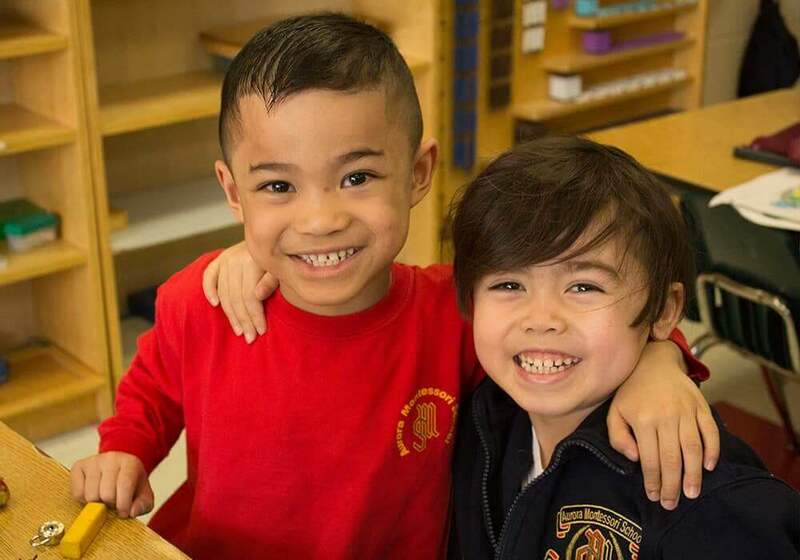 The main goal for all grades is to ensure that students are able to express themselves fluently and confidently in oral and written language communication. AIM is intended to accelerate the acquisition of French as a second language so that the students are able to communicate in authentic situations. The focus of AIM for Grades 1 and 2 is to increase the fluency level of core French students. 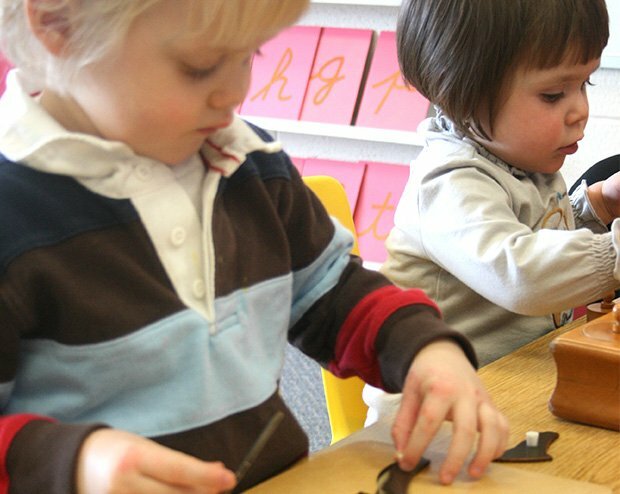 The vocabulary is constantly recycled through the use of plays, stories, songs and dances. The students learn to perform the plays and to later read the story form of the play. Each activity is scaffolded so that the student will experience success. Eventually the students will learn to answer oral and written questions about the play and to paraphrase the story in written form. 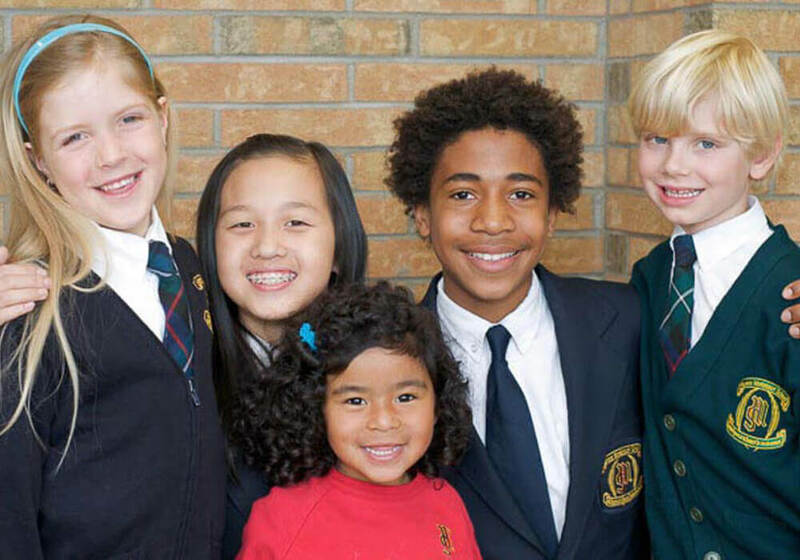 For students in Grades 3 to 8, the expectations for the Core French program, are to develop basic communication skills and an appreciation of French culture. 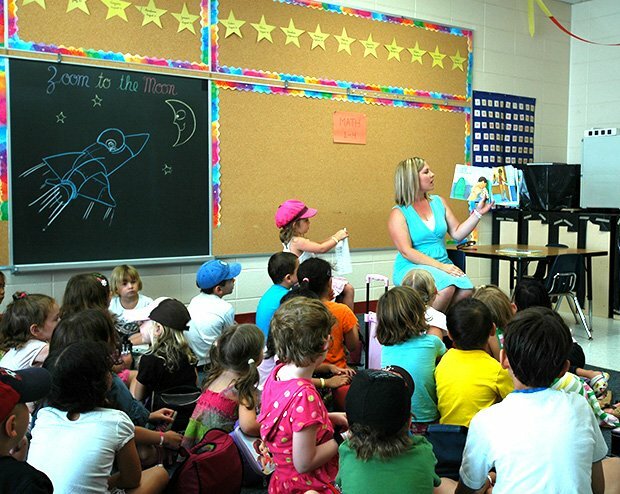 Students learn to memorize, read and eventually perform the plays/songs/dances once they have completed a series of language manipulation activities. Students learn to write creatively and to edit their work. Grammar is inherent in every aspect of the program. The students are exposed to correct pronunciation and syntax, and learn to ?hear? their mistakes when correcting written work. The programs offered through AMS include a discovery of all aspects of music, including an understanding of how music affects us. 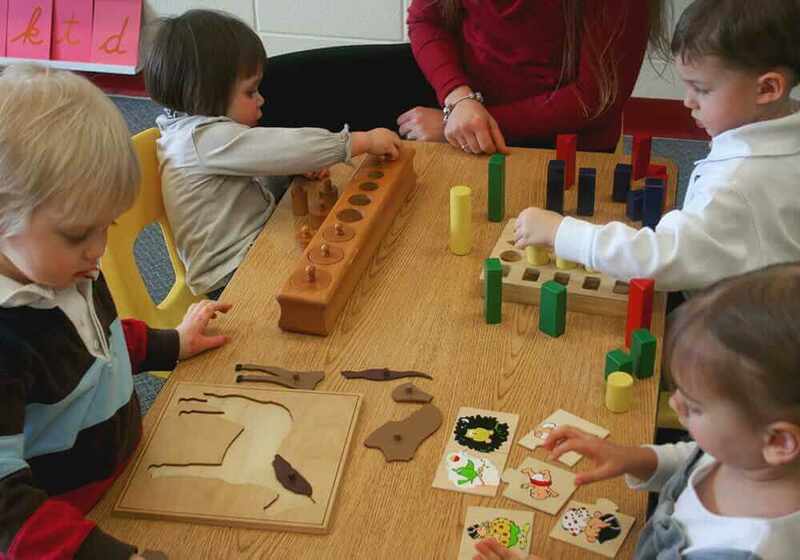 Children learn through listening and discussing, as well as through playing various instruments. Students have the opportunity to perform what they learn with several productions conducted throughout the school year. 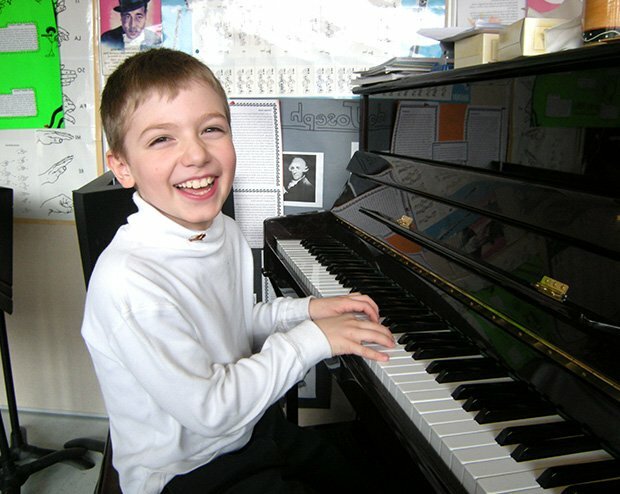 Our music programs are designed to facilitate students in their exploration of music and the instruments that interests them most. We pride ourselves on using quality manufactured instruments for our band. 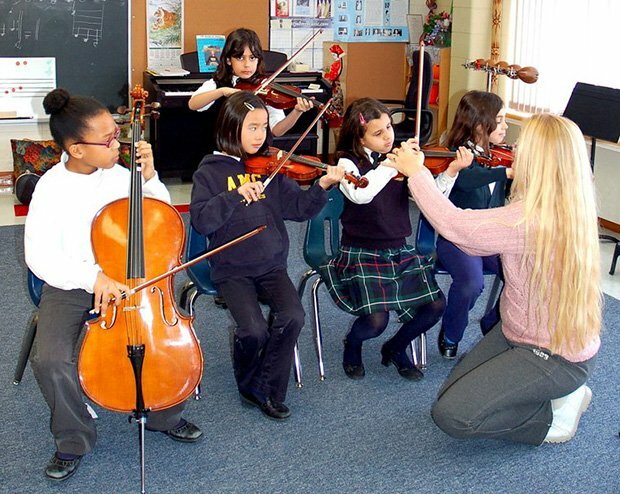 We also encourage students to learn responsibility by teaching them about their instruments and how to care for them. At Aurora Montessori, we understand that the use of computers in today’s world is essential to the success of each student and the importance of developing an understanding of basic computer skills in a child’s educational life is one that facilitates growth long after graduation. The vital need to understand computers has been developed through our school by providing access to computers, both in the homeroom and in the Computer Laboratory. This gives students countless opportunities to manipulate, interact with, and process information quickly and easily. Students will learn how to keyboard properly, and most important, safely. This includes methods such as stretch techniques, which help prevent some of the ailments associated with poor keyboarding habits. Students will learn the components of a computer; explore the many uses of a word processor and other Office software. Programs are available to help the students practice and consolidate skills in many subject areas. 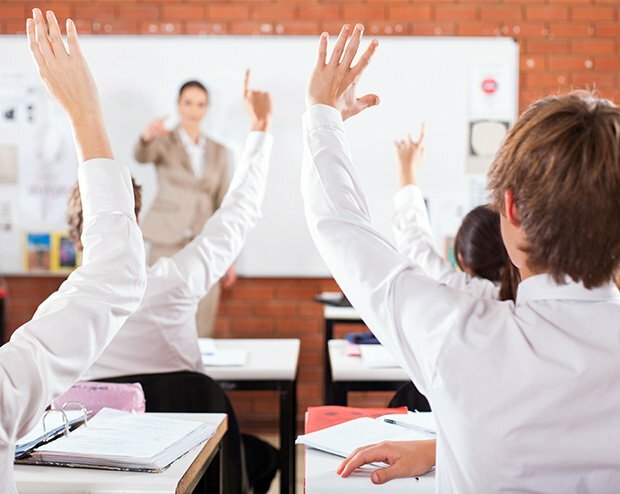 Under the guidance of classroom teachers, computers are used to access the World Wide Web and offer excellent means of gaining valuable information in all areas of study. Students will learn how to properly research on the Internet, gain skills in searching correctly, and learn about the different elements of the Internet. Senior students will learn how to make a website using tools, and coding in HTML. Welcome to the AMS School Library where we encourage our students to explore the exciting world of books. Our library is automated, allowing the students to easily search for the books or information. 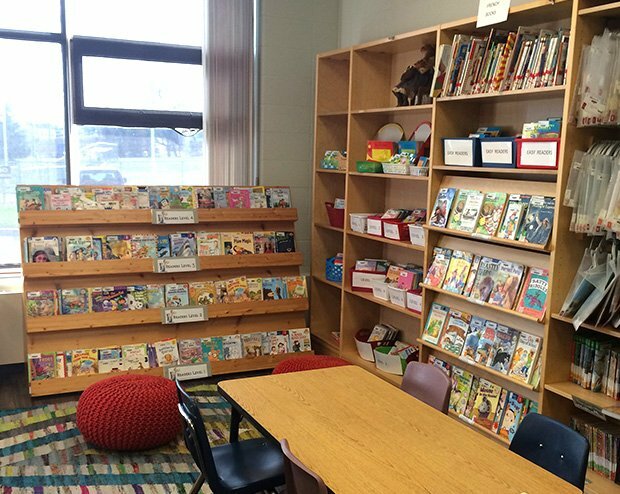 We hold book fairs, twice each year where the profits are used to purchase new materials that enhance our school. We also invite students to participate in, and raise funds for, the Multiple Sclerosis Read-A-Thon each winter. We encourage parents to read and discuss with their children the books that they bring home. This is a great way to promote literacy at home while further developing the student?s confidence and skills. We ask parents to remind their children to return their books on time. 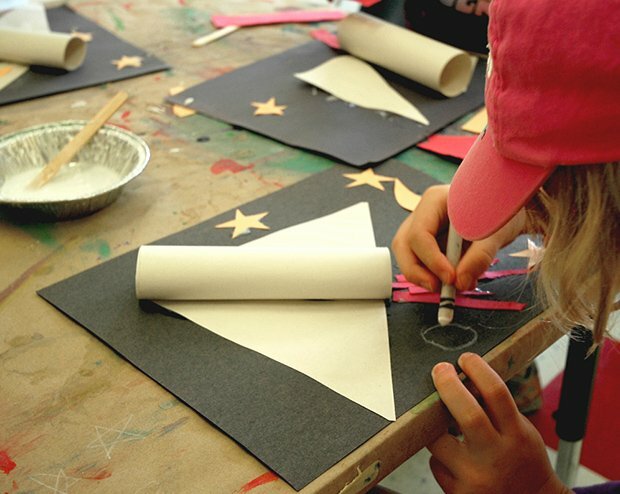 The Aurora Montessori School Art Program?s focus is to provide a space in which students can develop unique expressive skills through their creation of the arts. 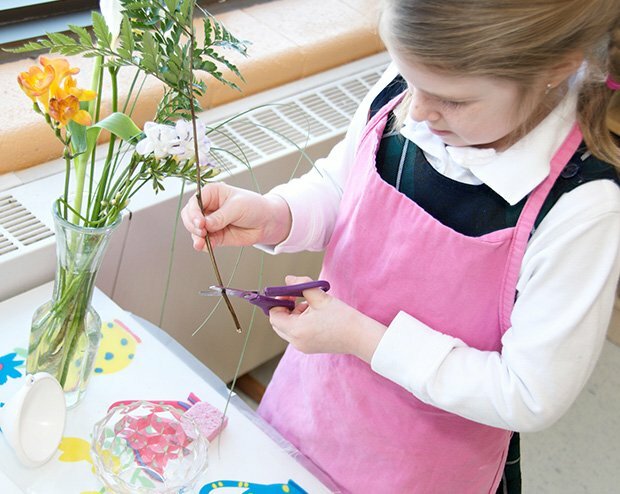 The arts curriculum offers ways for students with differing learning styles and abilities to find their own voice and introduces a variety of media, including: drawing, painting, sculpture and three-dimensional work, printmaking and mixed media. Our art program begins with art history, an important role in introducing students to cross-cultural studies and communication, which is incorporated throughout the program. 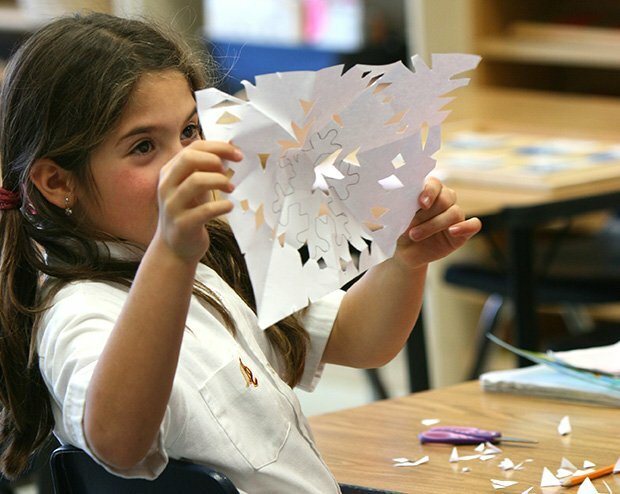 The program complements and enriches other areas of our curriculum, as well experience with the arts transfers to, and strengthens, basic thinking skills in a variety of areas, spatial-temporal thinking for higher level mathematical reasoning, and the language and analytical thinking needed for verbal thinking and communication, for instance. 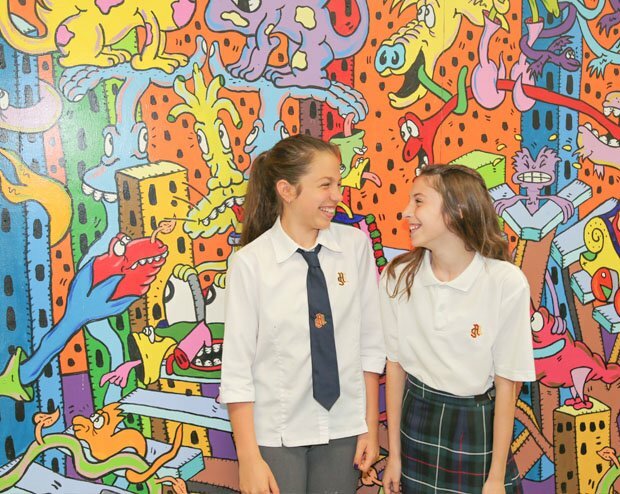 We also offer after-school clubs for our junior and senior students where they are encouraged to explore the medium of their choice. Science is all around us and is part of our everyday life. 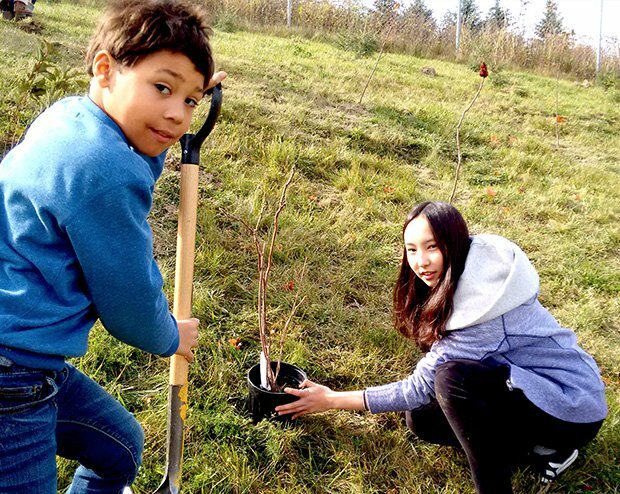 From the study of reproductive cycles of animals, to insects in our Casa classrooms, and the natural ecosystems built and studied in our elementary classroom environment, our students truly learn by being involved. The science programs offered by Aurora Montessori School begin with our interactive experience in the Children’s Village. 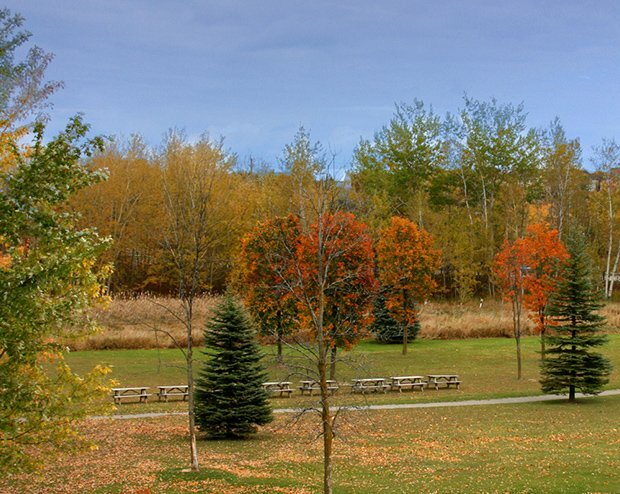 This space includes over eight acres of wetlands, gardens, and an animal shelter. This area is designed to help children understand zoology, biology, ecology and life processes that are essential to learn. The hands-on experience is one that is unique to the understanding of scientific elements that surround us. Not only do we provide a scientific playground for children to discover; we also create a scientific curriculum that expands on basic knowledge for those attending AMS. Students will continuously be able to expand their understanding of science and the development of various laws and theories that are applicable to various topics. 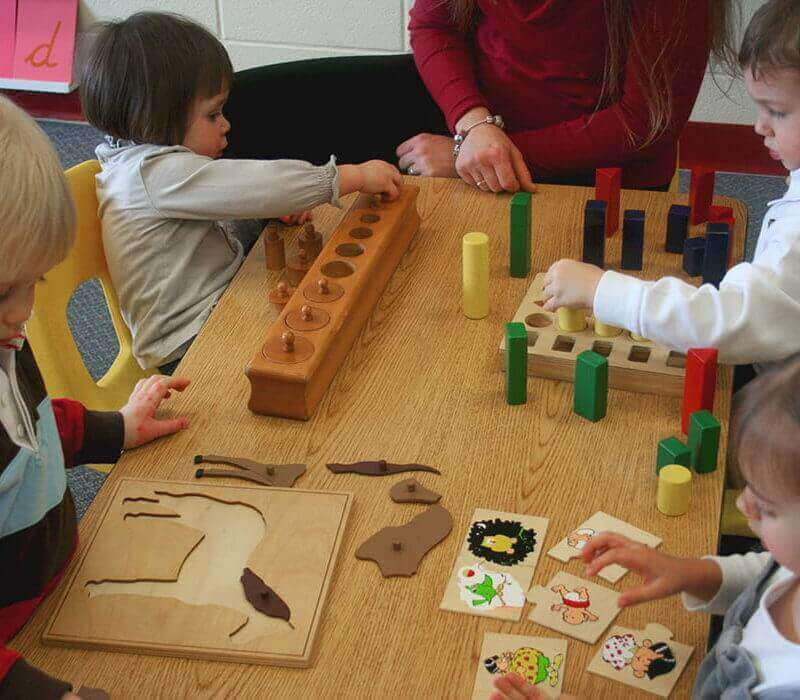 The Toddler classrooms provide students with a pleasant and bright atmosphere. The rooms all have expansive windows for natural lighting and fresh air within the school. Furniture within the classroom is toddler-sized for comfort and safety. The rooms are equipped with a wide variety of materials and activities for the children to use and explore. Storage cubbies and seating areas are right outside the classroom and provide plenty of room for your child to store their belongings. With permission, a parent will also be able to use a large one-way window to view the classroom activities in private and out of their child?s view-it is a unique experience to watch children in their first steps of independence. A washroom is built into each of the toddler rooms.